Wow im impressed, i will try out her method during the summer. No wash and Gos for me during winter. Which gel did you use? Oh......it's LA Look Nutra Curl Gel with Avocado. Curls on fleek! See definition! I may set one week aside for this MHM, just to see. I'm happy with my regimen as it is, but I'm really really curious. 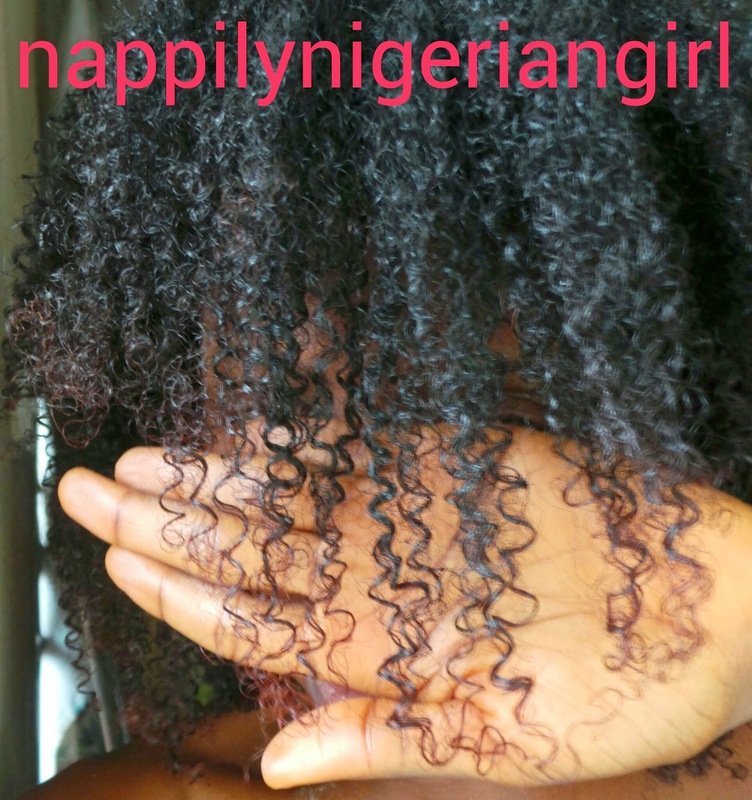 Your hair definition is amazing! I'll try this when I take my braids down but I do have a few inquiries.Was it this defined until the end of the day? How did you handle your hair the next day(after the whole MHM week thingy) and how long did your hair look this "defined"? It held up throughout the day ( I packed a hair tie just in case my hair frizzed up). I didn't do the complete one week MHM just this modification. At night, I put my hair in a bonnet. The next morning I had bed hair (flat fro). Once I sprayed water, the gel cast began to wear off and little fizziness occurred especially at my roots but the ends still stayed defined. This gave me shrunken roots but well defined ends. The third day I just made an afro puff to take advantage of the definition at the ends. This I had in for 4 more days. So to answer your last question, definition at the ends lasted a week plus but at the roots just two days. My hair is porous which may account for such. 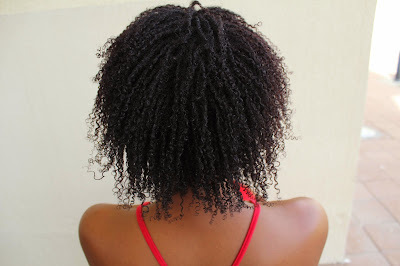 Perhaps root definition should last longer on low porosity hair. I am currently trying out the origina. mhm regimen and I love the results so far. No more complaints of dry hair here! 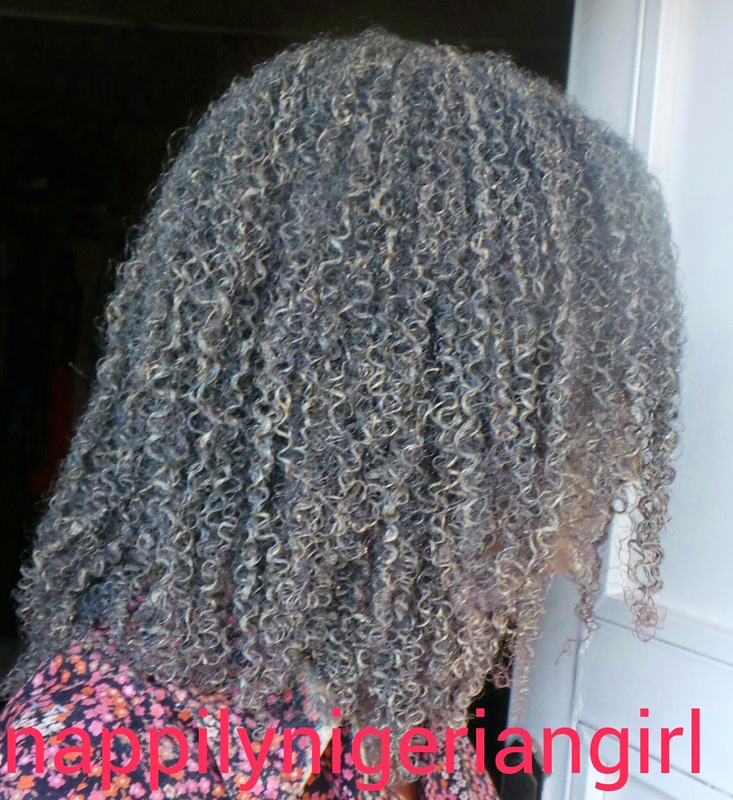 I have not tried this modified regimen and wonder at the complete elimination of conditioners and it's long term effect on the hair. Although I know dubaidee uses rhassoul clay which I hear is more conditioning than bentonite and she mixes with milk and other conditioning agents, so she may be on to something. Thank you for visiting my site. I admire hair stylist.I am a novice in anything hair.I will learn from your tips. Have a beautiful weekend. Thank you, Nitty. I really enjoy the frankness of your blog. I learnt a lot. It'll be a pleasure to help out hairwise. I've commented on this post before lol but skipping leave-in when styling is definitely something to think about! For hold that lasts, and to reduce how quickly my hair frizzes, I've been avoiding leave-ins on styling days for about 6 months now. After a good DC treatment, my hair is in a good place and sealing only works fine. If I know I'm not going to be able to style on the same day, I may use a leave-in, seal, and return to style only after my hair has dried. Washday is next week. I will definitely try to imitate the MHM with the products I have (cones and all) and see what gives!